Well apart from NYC traffic being… well, NYC traffic [Ed: what ZQ really meant to say is not fit for public consumption], we got to Rockland Community College safe and sound! We somehow also managed to pack most of our shop into the trailer. Yay tetris skillz! We also set up out pit, this time, we have a fully stocked workshop cart, generously donated by the school, and a very fancy pit sign! 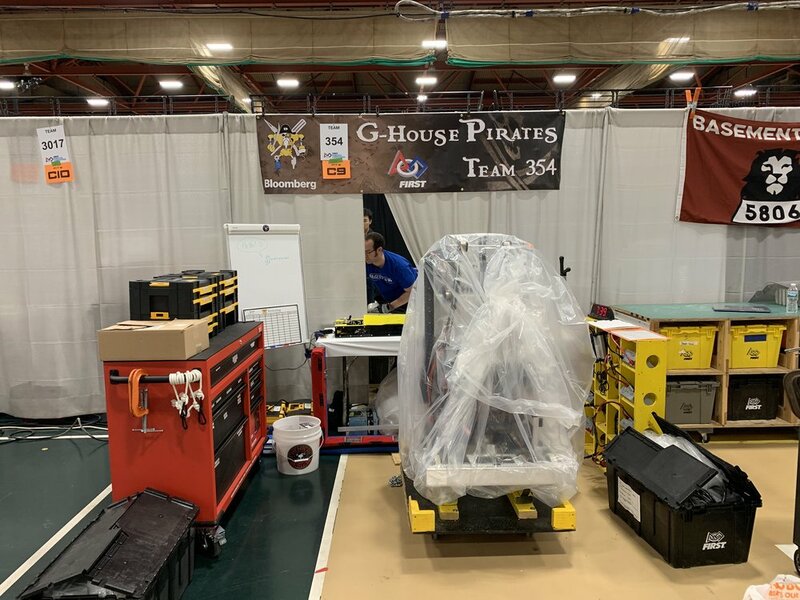 We start competing in practice matches tomorrow (Friday, 3/22) and in Qualification matches starting Saturday (3/23). If you can’t make it up in person, follow along on the twitch streams! Older Post"All our bags are packed, we're ready to gooooooo............"